The Handsome Wolf Necklace was skillfully fashioned out of nickel, lead and cadium free zinc alloy metal. It is silver plated and comes with a rope cord that has a lobster claw clasp. The cord has a 2" metal extension. The Wolf face is truly handsome. 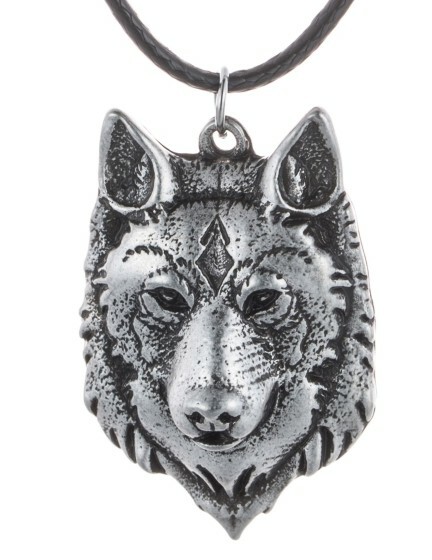 This is an EverythingWolf.com favorite Wolf Jewelry piece.